“True Detective” is a TV series about the investigation of satanic ritual murders carried out by mysterious men. While the season ended in a rather straight-forward matter, the plethora of symbols and references peppered throughout the episodes send out profound messages about forces subtly influencing society. 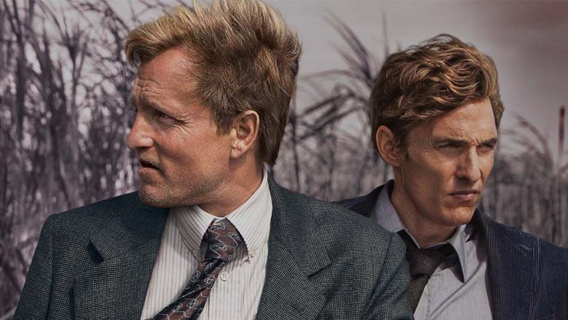 We’ll look at the deeper meaning of the first season of “True Detective”. Taking place in the swampy backwoods of Louisiana, True Detective captured audiences’ attention with its interesting characters and dark atmosphere. Through its eight episodes, the series followed two detectives as they uncovered a series of ritualistic murders that were rumored to be carried out by rich and powerful men. While, week after week, fans of the show obsessed over small details in order to “crack the case”, the series ended in a rather plain matter: The murderer was a dirty, crazy, stereotypical redneck who was identified by the detectives a few episodes beforehand. There was therefore no mind-blowing plot twist (i.e. one of the detectives was behind it all) or shocking high-level conspiracy. And that left many fans somewhat disappointed. However, looking back at the references, the symbolism, and the enigmatic dialogue peppered throughout the episodes, one can indeed wonder why some aspects of the story (i.e. Marty Hart’s family life) were so extensively developed while they were of no relevance to the final outcome of the investigation. Was the series, through these alternative storylines, trying to communicate something that went beyond the actual investigation? Something that encompasses us all? Despite the straight-forward conclusion to the story, there is a deeper message communicated throughout the series: That the ritual murders were not simply the product of the mind of lone crazy redneck – they’re the result of a deep-seated mindset, a toxic environment that goes back several generations and affects all aspects of society. This concept can be summed up in one word: “psychosphere” – a word detective Rustin Cohle uses in the first episode. Through a variety of symbols and messages, True Detectives shows us how the sick obsessions of the elite ultimately seep through the everyday lives of the masses. Let’s first look at the premise of the story.